Fractured table | Where have the days gone? Nikki liked so well what Al did with our coffee table last Fall, that she decided to try the same with the coffee table she found on CraigsList for her new apartment… only she's using some of her very own handmade tiles which were part of her capstone project when she got her degree last December. 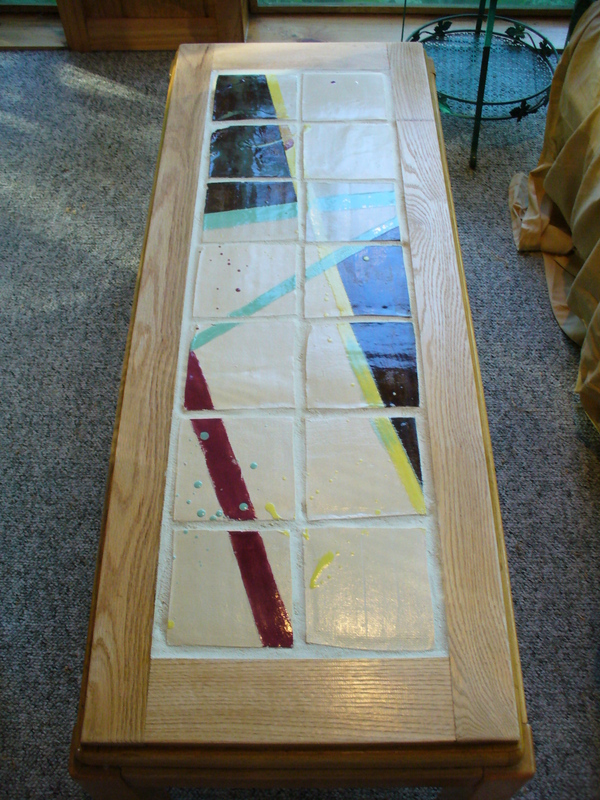 She and Al worked together to choose and build the wood frame, and lay out and grout the tiles. I think it turned out really cool, and is definitely more interesting than the plain oak (and waterstained) table top that was there before. ← QotD: I Scream, You Scream, We All Scream for Ice Cream!